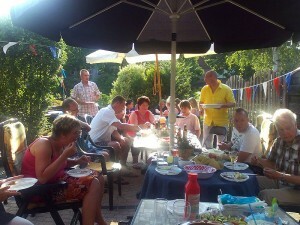 Thanksgiving feasts, Christmas dinners, Memorial Day barbecues. Doesn’t it seem like just as your diet is on course, a major holiday sets you back? We’ve all been there. Our diet or healthy lifestyle is great, and then one holiday derails the whole thing. But this Memorial Day, you can enjoy good food without damaging your diet. Here are some great, healthy recipes for this year’s barbecue. Most people groan when they hear turkey burgers because of their bland flavor. This recipe gives the boring turkey burger a fun makeover with plenty of flavor with a lot less fat than your traditional burger. Have fun with your fruit. 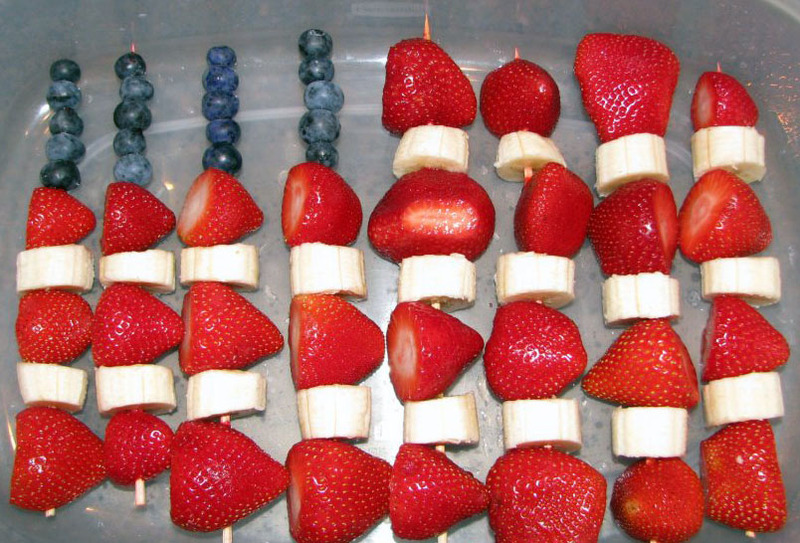 These fun and patriotic kabobs are easy to make and are a great addition to any barbecue. If you’re concerned about your bananas browning throughout the day, consider squeezing lemon juice on the bananas to prevent it. Fruit kabobs are also a great project for the kids to join in on as well. Too many people make the unfortunate mistake of assuming salad is healthy. A traditional Caesar salad can have over 50g of fat per serving! This lighter version tastes just as good, but is made with a lot less fat and good fats to boot. Twice-baked potatoes are notoriously delicious and, unfortunately, notoriously fattening as well. By substituting low-fat cheese and milk and substituting fat-free Greek yogurt for the sour cream, you cut out a ton of the calories, but won’t sacrifice the taste. 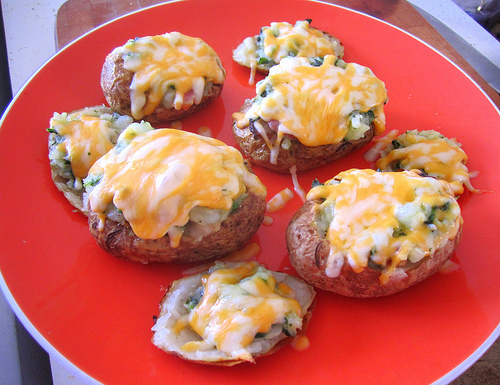 Serving Size: One potato half (serves eight). Deviled eggs are a barbecue must, but the mayonnaise tends to add a lot of extra calories and fat. By swapping out the mayonnaise for its low-fat counterpart, you have a healthier version to serve up this summer.